New rules that allow rugby league players charged with serious criminal offences to be stood down are unfair, draconian and unprecedented, the Federal Court of Australia has heard. 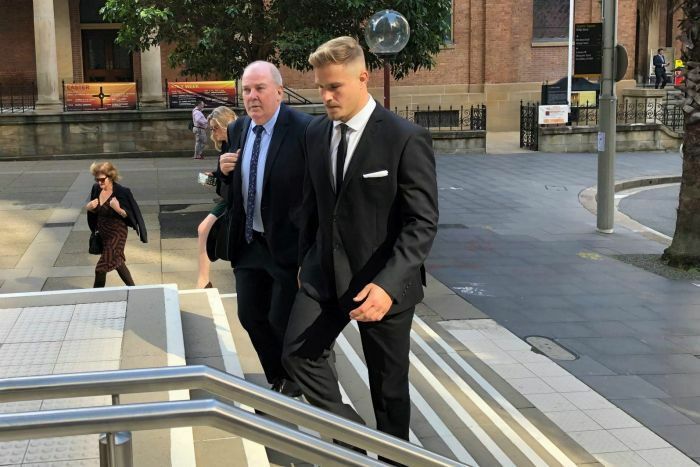 St George Illawarra’s Jack De Belin is challenging the Australian Rugby League Commission’s (ARLC) decision to stand him down as he faces allegations of aggravated sexual assault relating to a woman he met in Wollongong in December. De Belin has pleaded not guilty. A string of off-field incidents prompted the ARLC to change NRL policy, effective from March 11, so players could be stood down if they faced criminal charges carrying a maximum penalty of 11 years or more in jail. “In our submission it’s a harsh rule, it’s an unfair rule, it’s a draconian rule,” de Belin’s lawyer Martin Einfeld QC told the Federal Court. Mr Einfeld said it may also be a world-first to have such a measure applied retrospectively. He said since the NRL began in Australia in 1908, players had always had a right to a hearing and a review of the hearing. “That has been removed by these rules,” Mr Einfeld said. Under the new rule, affected players are entitled to full pay and can still train with clubs. De Belin could face a custodial sentence of up to 20 years, a court heard in February. He is suing the NRL, demanding it pay for “corrective advertising” and accusing it of misleading and deceptive conduct, court documents revealed last month. As he announced the new rules, ARLC chairman Peter Beattie said the commission was making no judgement about the innocence or guilt of a player. But the Rugby League Players’ Association opposed the change and said the rule undermined a player’s right to be presumed innocent. De Belin’s case is due to be mentioned in a Wollongong court on Wednesday.